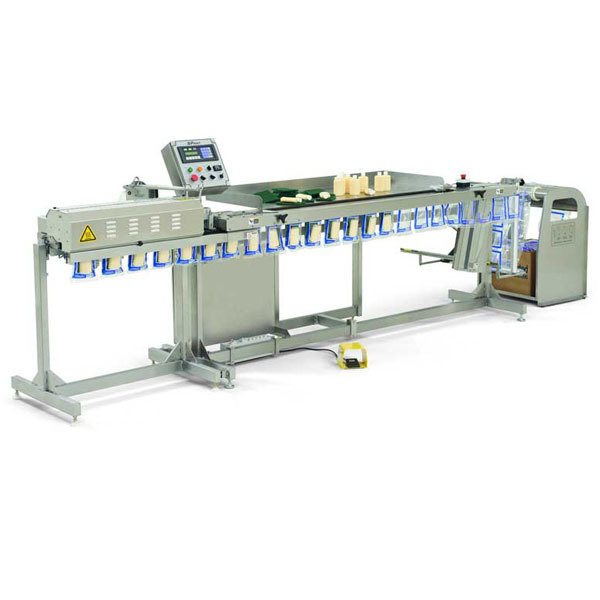 The SPrint SidePouch packaging system is engineered to provide high productivity solutions for hand load through fully-automatic packaging applications. Operating at speeds up to 120 bags per minute in continuous mode, and offering special bag features, the SPrint bagger reduces operating costs while providing the widest range of industrial and retail bag packaging solutions. The SPrint bagging system installs quickly and requires minimal operator training and maintenance. The system can be integrated with a SPrint AutoLabel™ PI 412c Imprinter for inline imprinting, or with a variety of support conveyors and infeeds for semi- to fully-automatic packaging. The standard sealing unit ensures attractive, high quality bag seals for most industrial and retail applications, while the optional medical sealer meets the stringent sealing requirements of the health care industry. Bag changeover is fast and easy to accommodate short production runs, with a single box holding up to 5,000 bags toSPrint SidePouch Bagging System, medical package, industrial retail and specialty bag packaging facilitate longer runs. Genuine SidePouch bags are system-matched for optimum performance, and offer a variety of value-added features, such as reclosable zippers, resealable plastic bags, gussets, reinforced headers and easy-open perforations. Since the bags are pre-made, costly machine modifications are not needed to utilize these features. SidePouch bags are available in an assortment of materials that can be pre-printed with high-resolution graphics, text and bar codes for unique, attractive packaging with a competitive edge. W 2.63 to 20 in. L 3 to 18 in.